Find out how to start a collection of Australian coins with this expert guide from Royal Australian Mint. Australian coins have the image of the reigning monarch (current Queen Elizabeth II) on their obverse, with the most recent (sixth) portrait, by Jody Clark, transitioning onto Australian currency during 2019. The previous designs of the monarch were by Mary Gillick (1953), Arnold Machin (1966), Raphael Maklouf (1985) and Iain Rank-Broadley (1998). The history of coins in Australia begins with the European settlers who created international coins and tokens to facilitate trade. In 1813, Australia got its first coin when Spanish dollars were converted into two coins known as ‘the dump’ and the ‘holey dollar’. However, they were superseded by a British government order of 1825 which made the English pound the only legal currency in Australia. Sydney’s official mint opened in 1855, at the height of the gold rush, producing gold sovereigns, followed by an official Australian currency in 1910, based on the pounds, shillings and pence of the British monetary system. The Royal Australian Mint has been minting coins since 1965 and over the decades, has produced thousands of different coins. A year after the Mint opened Australia began to use the decimal system (on 14 February 1966) with a system of dollars and cents that remains in use today. Mass-produced coins designed for everyday use and made from materials including aluminium, copper and nickel. The majority of circulating Australian coins feature Australian fauna (or an Australian elder on the two dollar coin) keep a look out for coins commemorating special anniversaries. These legal tender coins are produced by Royal Australian Mint to mark special events or anniversaries and are produced in a range of different finishes. Coins made of precious metal and minted in small quantities, to appeal to collectors of prestige coins. How do I start collecting Australian coins? The easiest way to begin a collection of Australian coins is to start with circulating coins that you’ll receive as loose change in everyday transactions. You can collect the various different Australian fauna coins, then start to look out for coins commemorating events and anniversaries, such as coins issued in 2016 for the fiftieth anniversary of the decimal currency – there is a commemorative design for each Australian coin denomination. For the first time in Australian history these coins had the commemorative design on the obverse rather than reverse side of the coin. The 20c, 50c, $1 and $2 dollar coins have all had special designs over the years. Next, you could move onto collector coins – buying coins created especially for collectors, which are free of the damage and blemishes that can affect circulating coins. And for special investment, take a look at precious metal proof coins. And of course, don’t forget the numismatics scene. Coin shows, coin fairs and coin clubs are all good places to build upon your knowledge and meet other collectors. 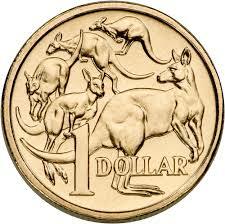 The lowest current denomination coin is the 5c, since 1c and 2c coins were discontinued in 1992. For more on Royal Australian Mint, visit their website.